Desert Morada is our newest property and is one of 12 garden duplexes situated around a refreshing pool. All units have fenced back yards, washers and dryers, wifi internet and cable TV. House H is newly renovated with two bedrooms and one full bath with tub. Each bedroom has a king size bed. Plenty of natural sunlight comes through the new windows. The fenced rear yard looks out on to mesquite trees and desert landscaping. Secure, paved off street parking on a quiet street. Carefully furnished, all new kitchens and baths! New wood tile flooring throughout. Conveniently located, ten minute drive to the Tucson Mall and great restaurants. Not far from the University of Arizona and area hospitals. Monthly rates don't include electricity-we will charge separately for that. Typical electrical bills: winter $50 per month, summer $80-100 per month. Additional charges- We charge for additional guest above 2-this includes kids. Additional guest fee is $15 per person per night. Have someone stay just one night-you need to pay for that guest for that one night. We also charge for dogs-no other pets please! The pet fee is $5 per day per pet. Failure to pay additional fees prior to your reservation will result in fees being doubled. Hosting a party, gathering-outside of those renting the house, wedding, funeral, circus, baby showers, birthday parties, dinner parties etc are not allowed and will result in immediate eviction. Base rate is for double occupancy. Additional guests are $15 per night per guest-this includes kids and babies. We do allow dogs-no other pets. There is a pet fee of $5 per day per pet. Please notify us of additional guests or if you are bringing any dogs. Failure to pay additional fees before use will result in doubling the cost of the fee and could result in immediate eviction. Parking for one car in secure parking lot. Additional parking space-if available- is $100/month. 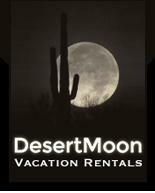 Rental periods less than 30 days include all utilities. Rental periods 30 or more days require renter to reimburse owner for electrical charges for rental period. Owner to provide cost monthly and renter to reimburse with in 3 days of notice. Please note-there is no lease or implied residency at any of our properties. Failure to follow rules can result in immediate eviction. The property is monitor 24/7. Desert Morada is located in an area of Tucson with plenty of shopping and tourist destinations. There is public transporation nearby. For exploring Tucson's eateries, there are popular restaurants listed in the house manual, some are close to the house, some in the midtown and downtown areas. The area is also close to the revitalized downtown area with unique restaurants and entertainment venues; something for everyone. World-class golfing over 30 courses! U of A's Biosphere 2.